Mutation 9 – The Simian Flu update is coming this week! Get ready people! Mutation 9 – The Simian Flu update is almost here! 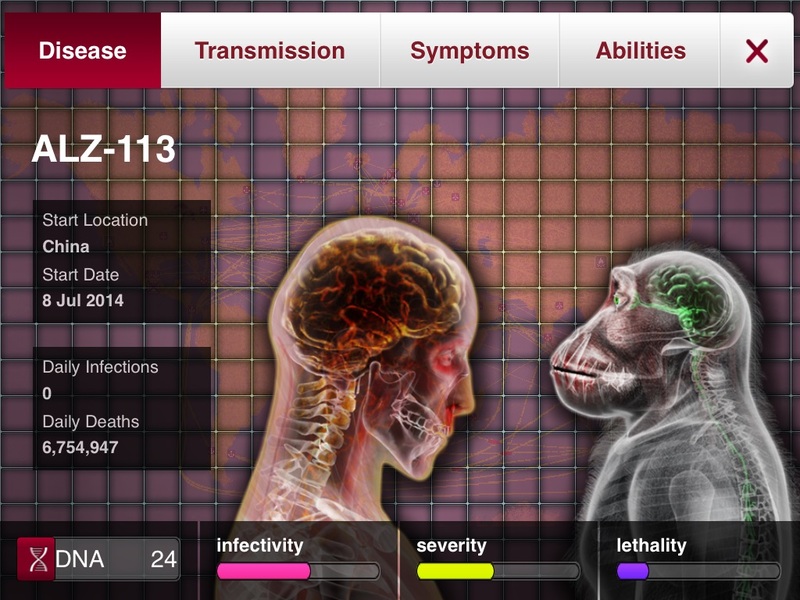 The Simian Flu update in Plague Inc. will show the world how awesome a movie/game partnership can be for players. 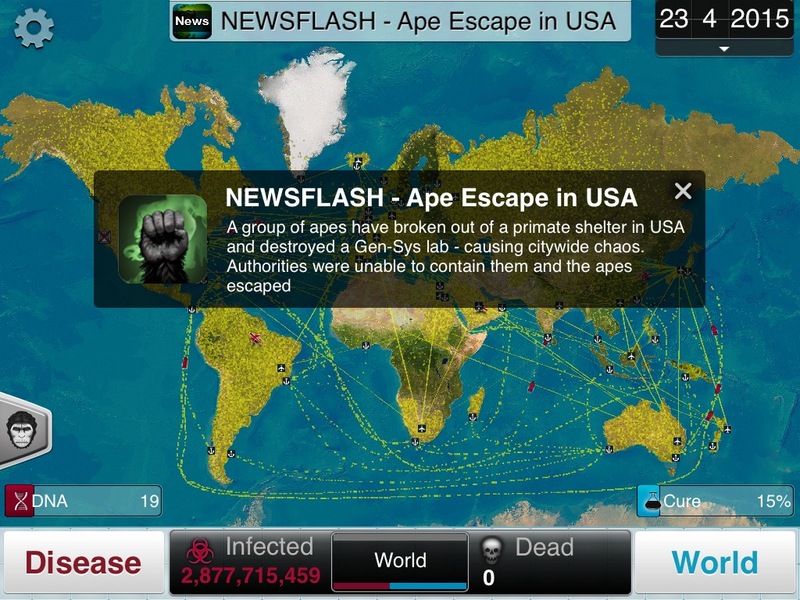 Plague Inc. and Dawn of the Planet of the Apes fit together perfectly and I can’t wait for everyone to start infecting the world with their new genetically modified virus. We have created a brand new gameplay experience that builds on and supports the movie narrative to create a deep world for players to explore and infect! Players often ask me to add videos of the world into the game so they can see how humanity responds to their Plague on a street level. This time, the Simian Flu partnership lets players have an entire summer movie blockbuster to expand on the game’s narrative. 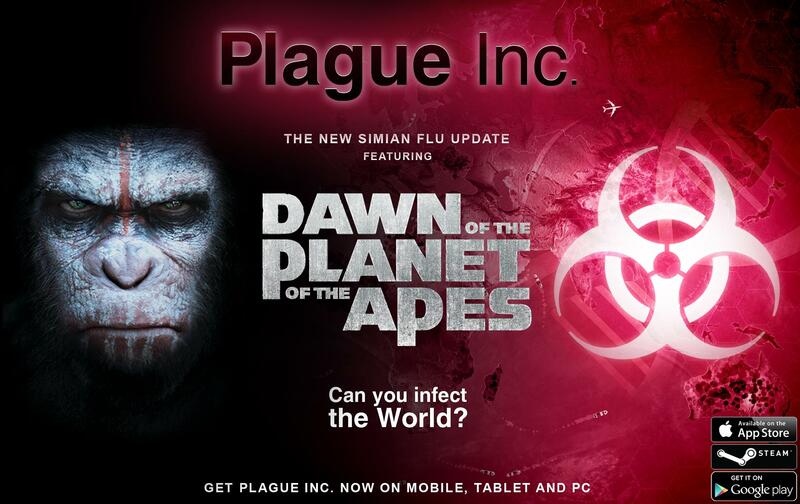 All players will get a free trial of the Simian Flu. After that, as with other Plague Inc. expansion packs, it can be purchased for $1.99. The new disease type will be free for players who already have the Plague Pack or have completed the full game on brutal. Plague Inc: Evolved players will get the update for free via Steam early next week.